Dru is a graceful and flowing type of yoga with foundations from the ancient yogic tradition. In Dru Yoga all movements originate from the spine as a flexible, healthy, happy spine results in a flexible, healthy, happy person. It is designed to be practised by people of all abilities, all fitness levels and all age groups. Dru works on the body in a physical way, improving strength, flexibility and core stability. It also creates that feel good factor and works on the mind, emotions and spirit, increasing energy levels, positivity, confidence, self-esteem and general wellbeing. In my own life I have found Dru yoga has helped me to overcome life's challenges and obstacles. It has improved my posture and reduced my back neck and shoulder pain. It also helps me to be more centred and grounded, so that I can respond more objectively and kindly to things that happen in day to day life. 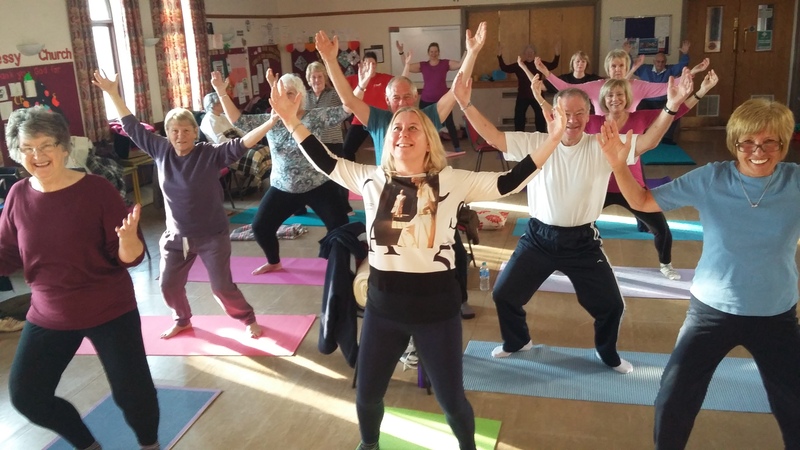 Dru Yoga is suitable for all abilities, no previous experience is necessary.